A Power Book For Girls! “As a mother of three girls, the girl issue is something that is close to my heart. 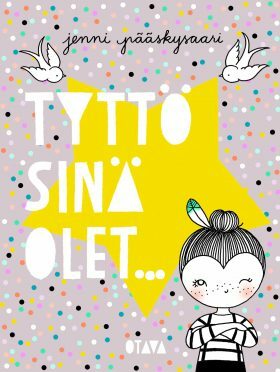 This book contains great themes that relate to a girl’s life, themes of self confidence, dreaming, being in charge of your own life… of a new kind of girl-hood that saves the world,” Jenni Pääskysaari describes the birth of her book. “Girl, you are unique! Brave! Loved!“A great small book, a talisman that says all those things every girl should get to hear.